Liko FreeSpan straight rail lift system is a freestanding lift system intended for use with Likorall lift unit. It consists of three main components that can be assembled without tools. The lift motor is mounted in the pre-fitted carriage. FreeSpan Straight Rail is made of aluminum, two rail lengths are available and it can be fitted with Likorall lift motor. The lift motor will need to be charged for at least 8 hours before use. You can choose from a 6.5 ft. upper rail length or an 11.5 ft. rail, making the FreeSpan SR compatible with any size bed. FreeSpan Straight Rail system is equipped with lockable wheels that improve positioning for specific tasks and enable portability of the system. 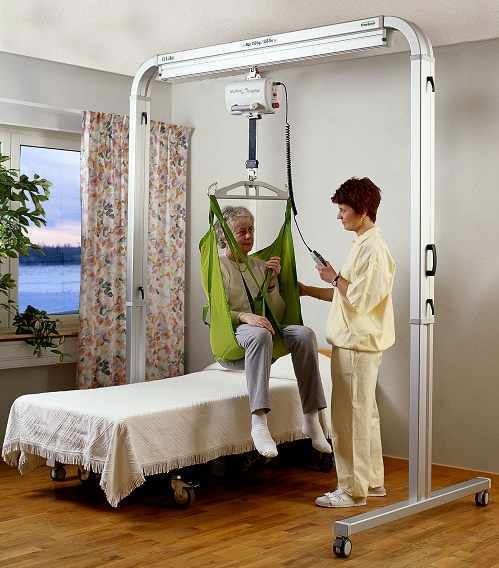 Easy to assemble - The system is easy to assemble and disassemble without any tools. Easy to adjust - The FreeSpan Straight Rail lift system is easy to adjust and has four different height settings. 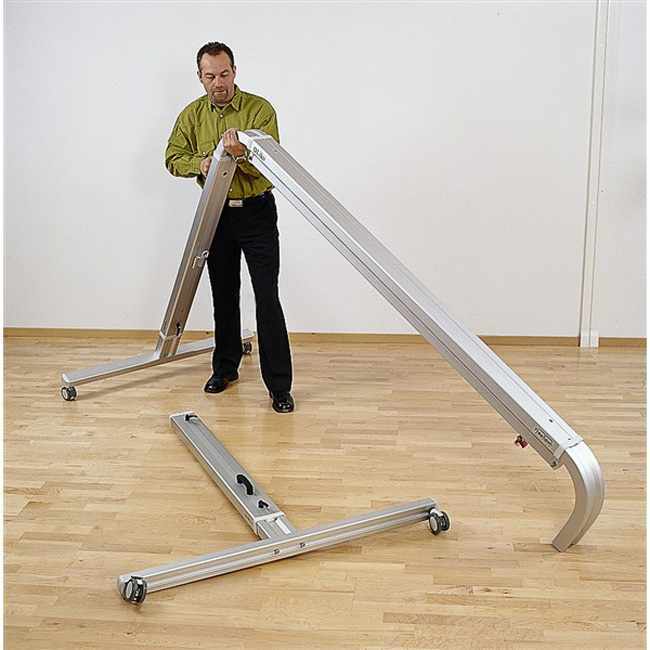 Lockable wheels - FreeSpan Straight Rail lift system is equipped with lockable wheels, which makes it easier to place correctly for lifting and facilitates cleaning. Locking handles - The FreeSpan Straight Rail lift system is available in 2 different rail lengths, giving a total width of 2 m and 5.5 m (80" - 220"). 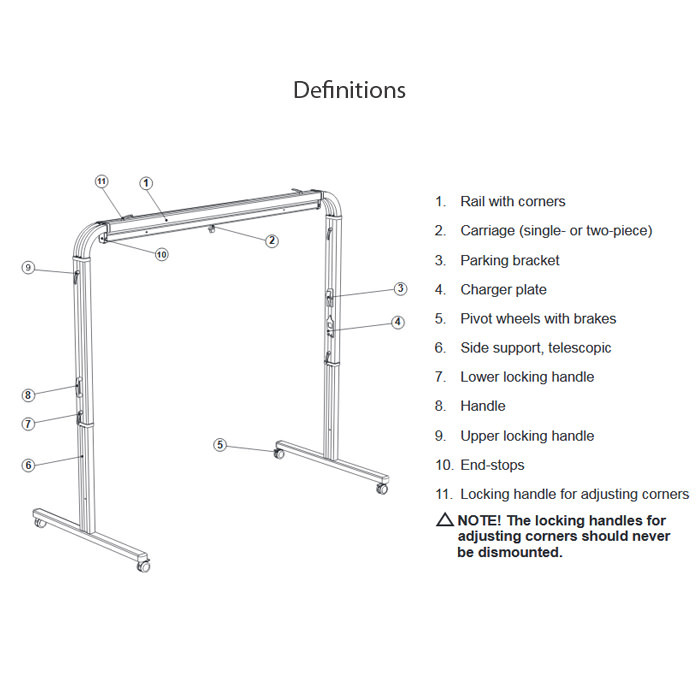 The system with locking handles on the rail provides for a width adjustment of 225 mm (9") in each corner. 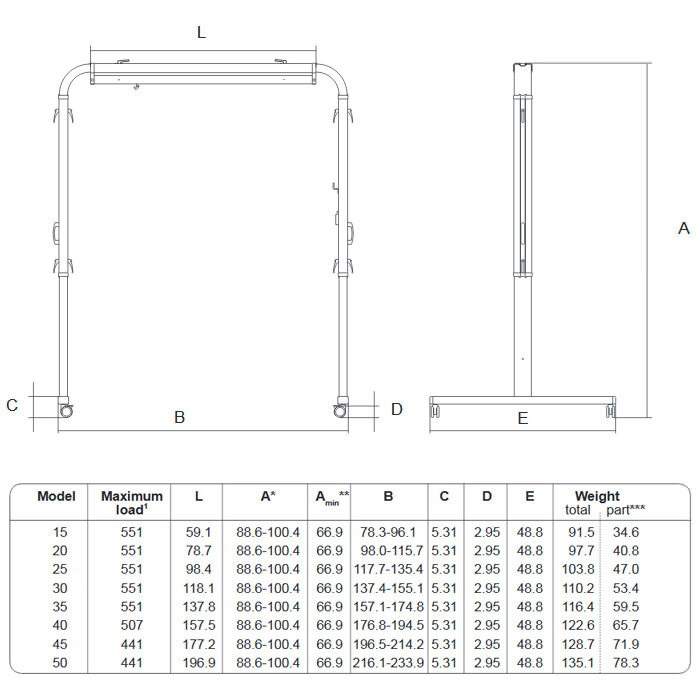 Lift rail height ranges from 88.6" to 100.4"
Freespan rail 6.5 ft. or 11.5 ft. External base width - open: 115.70" 174.80"
External base width - closed: 98.00" 157.10"
Furniture clearance needed: 5.31" 5.31"
Caster size - front: 3.00" 3.00"
Caster size - rear: 3.00" 3.00"